You may be able to create new discussions in your course. These discussions are part of the course and are separate from creating a discussion in a group. If the Add Discussion button does not display, your instructor has restricted this setting in your course. However, this setting does not affect discussions in course groups. 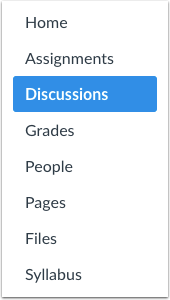 If you add a file to your discussion, it will be stored in course files in the unfiled folder. Create a threaded reply by clicking the Allow threaded replies checkbox. Require users to post to the discussion before viewing other replies by clicking the Users must post before seeing replies checkbox. Allow users to like discussion posts by clicking the Allow liking checkbox. Set specific dates the discussion can be viewed. Select the date you want the discussion to be show in the Available From field and the date the discussion should be hidden in the Until field. If you do not enter any dates, the discussion will be show during the entire duration of the course. 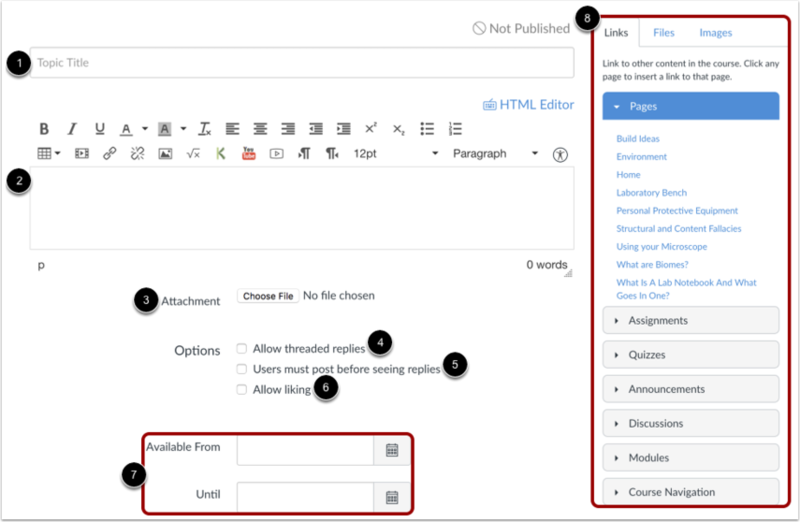 Use the Content Selector to add additional content to your discussion post. Previous Topic:How do I know if I have a peer review discussion to complete? Next Topic:Where can I find my peers' feedback for peer reviewed discussions? Table of Contents > Discussions > How do I create a course discussion as a student? Re: How can I create a post on a discussion board?